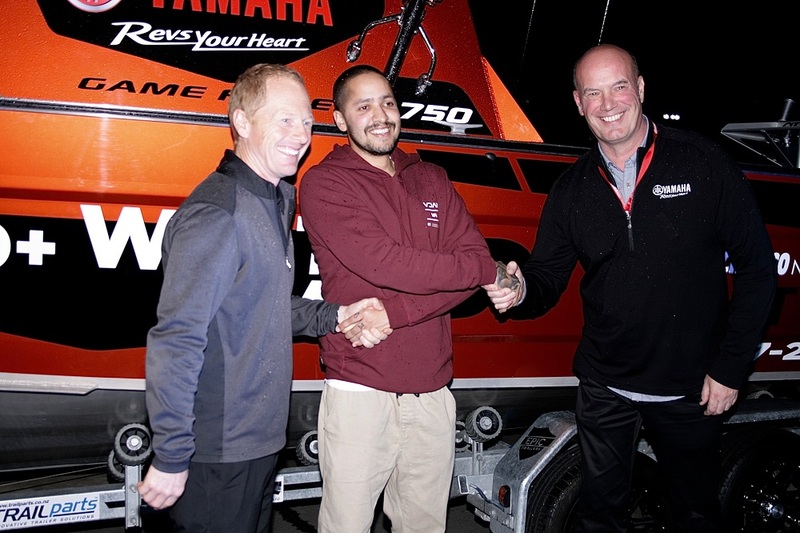 Keen Aussie fisher flies into town wins $200,000 boat show prize! Keen Melbourne fisherman, Jonathan Couronne came to Auckland especially to see the Hutchwilco New Zealand Boat Show and to check out the popular Kiwi-built Surtees trailer boats built by Kawerau-based Surtees Boats. He went home having won the show’s $200,000-plus Surtees/Yamaha Grand Prize! A keen fisher who currently owns a small 4.2 metre boat, Jonathan couldn’t believe his good luck. (Each entry ticket to the show can be used to enter the draw for the Grand Prize, so Jonathan ended up with six entries). Jonathan, who suffers from MS, says he normally fishes with just his brother-in-law (who drives his boat for him) and his two boys, because his small boat can only safely accommodate four. “Now I will be able to take (partner) Judy and some good friends, too,” he says. The Hutchwilco New Zealand Boat Show is New Zealand’s oldest, longest-running and most popular boat show, attracting over 35,000 people each year. This is the first time in the show’s 60-plus year history that its Grand Prize has been won by an overseas visitor to the show. Hutchwilco New Zealand Boat Show organisers, and sponsors Surtees and Yamaha, are now investigating how best to get lucky Jonathan’s 7.5-metre trailer boat across the Tasman and to Melbourne for him. Photo shows Surtees’ Adam Dyck, lucky Grand Prize winner Jonathan Couronne and Yamaha Marine NZ’s Matt Walton-Smith in front of Jonathan’s new Surtees 750 Game Fisher.